Obituary for Harold W Jones | Smith Mortuary, Inc.
Harold W. Jones, 92, of Charleston passed away Friday November 23, 2018. He was born December 10, 1925 in Lavaca, AR to the late Idus W. and Fannie A. (Tolbert) Jones. 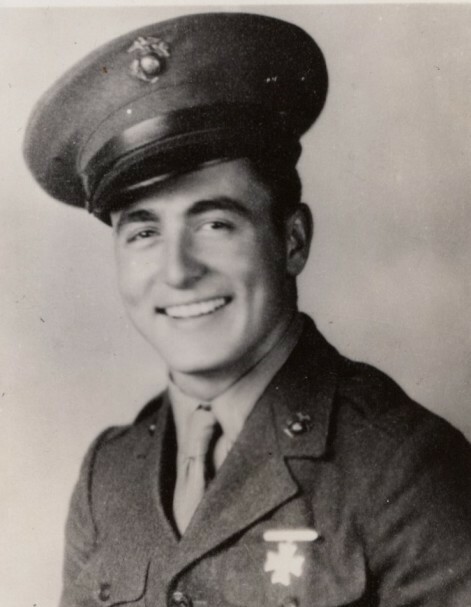 He was a member of the Church of Christ, 1942 Graduate of Lavaca High School, U.S. Marine Corps veteran serving during WWII and a life member of the American Legion Post 8. He was preceded in death by his parents, wife Pauline and one brother Archie Dale Jones. Harold was a farmer for many years where he raised boysenberries, strawberries and worked cattle, in 1963 Harold joined American Sate Bank, Charleston, AR primarily as an insurance agent, later becoming a board member and stock holder, retiring in 1992 but continued to live on the farm and maintain a small herd of cattle. Harold also volunteered for county and state organizations, he was a board member and past president of Sebastian County Farm Bureau, a member of the Sebastian County Soil Conservation where he served for 50 years serving as the secretary and treasurer until retiring from the board in 2007, served 14 years on the Soil and Water Commission, served as president of the Arkansas Conservation Districts, served 12 years as the treasurer for the Arkansas Association of Conservation Districts , served as secretary and treasurer for the Hickory Ridge and Hepseby Cemeteries perpetual care fund since inception in 1976 until his health started to decline in 2009. Left to cherish his memory is his brother Harley Jones and wife Helen; three nephews Harley Jones, II, Rick Jones and Dale Amos; three nieces, Deborah (Jones)Rowen, Elizabeth Jones and Freda (Jones)Hudson. Funeral Service will be 10 AM Friday at Smith Mortuary and burial will follow in Hickory Ridge Cemetery under the direction of Smith Mortuary, Charleston, AR. Bro. Mike Pittman will officiate. Pallbearers will be Harley Jones, II, Doug Rowen, Roy Jones, Rick Jones, Leo Robinson and Dale Amos. Honorary Pallbearers will be Joe Stroub, Paul Carruth, James Patterson, Darrell Sheldon and Massie Silva and Sid Lawrence. Family will receive friends from 5-7PM Thursday at the funeral home.